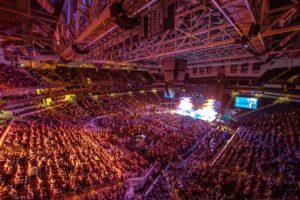 Nashville, TN – February 12, 2018 – It was a week of perfect 10s for platinum-selling entertainer Chris Young! Last Monday the RCA Records Nashville singer/songwriter scored his 10th No. 1 single with “Losing Sleep” – the title track to his chart-topping album and namesake for his sold-out arena headlining tour. Chris went on to thank Country Radio for his 10th No. 1 single by making a $10,000 donation to St. Jude’s Country Cares For Kids campaign during Country Radio Seminar 2018. Over the weekend, Chris continued to score, bringing his headlining “Losing Sleep 2018 World Tour” to Eaglebank Arena in Washington, D.C., Big Sandy Superstore in Huntington, WV and Petersen Events Center in Pittsburgh, PA, where the crowd’s cheers exceeded a blistering 110 decibels! This marks the fourth straight weekend of sold-out arena shows for the ACM nominated singer. 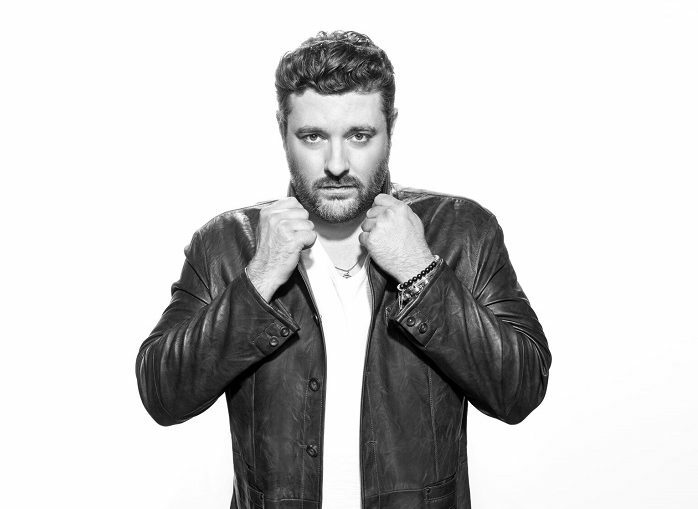 Chris Young, along with special guests Kane Brown and LANCO, return to the road this upcoming weekend as the “Losing Sleep 2018 World Tour” heads to Atlanta, GA, St. Augustine, FL and Ft. Meyers, FL.